Pour half the Barrett’s Beer Bread Mix Original) into a large bowl and add 330ml beer of your choice. Whisk the mixture till light and fluffy. Pour the other half of the mix into a shallow bowl for dusting. Heat two inches of oil in a frying pan. 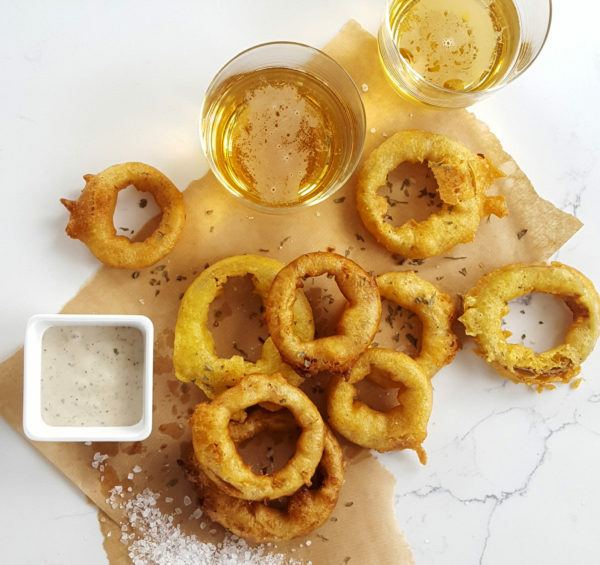 Dust the onion rings in dry mix and shake off any excess. 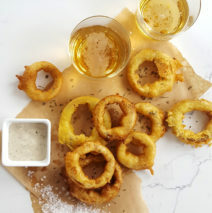 Dip the rings in the batter, coating well. Carefully place into the hot oil and fry for 8 to 10 minutes or until golden brown on both sides. Join the Barrett's Ridge Newsletter to ensure you do not miss anything that is happening here at HQ. We shall send you tasty recipe’s, latest news and offers and also when we have competitions where you can win some of our delicious treats and swag.